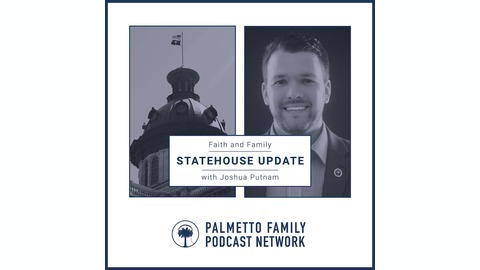 Faith and Family Statehouse Update is a Palmetto Family podcast dedicated to informing you about the issues at the South Carolina Statehouse affecting your faith and your family. Published weekly and hosted by Joshua Putnam, President of Palmetto Family and former state legislator. Palmetto Family believes life is a precious gift from our Creator and that it should be valued and protected under the law from conception to natural death. That’s why we support any effort which seeks to reduce abortion in South Carolina. 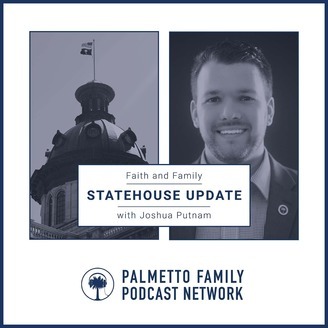 On this episode of Faith and Family Statehouse Update, Joshua Putnam sits down with Representative John McCravy to discuss a vitally important bill that he has introduced: South Carolina's Heartbeat Bill. Learn how the Heartbeat Bill is an important step on our journey to end all abortions in South Carolina. But before you listen to this episode, will you take two minutes to defend life in South Carolina? Palmetto Family has launched a pro-life petition which gives you an effective opportunity to tell our state leaders and your fellow South Carolinians that you believe our state should defend the right to life. Go to PalmettoFamily.org to sign the petition now!